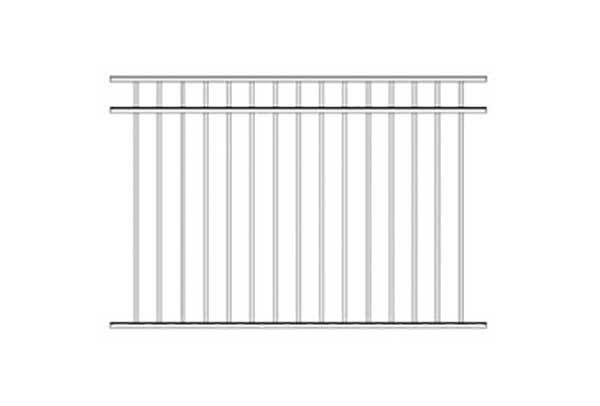 Simplicity and exceptional quality makes an ornamental aluminum fence stand out on its own. Flexibility of installation, sturdy construction, and virtually maintenance-free attributes will give you peace of mind that your fence will fulfill your needs for a lifetime. 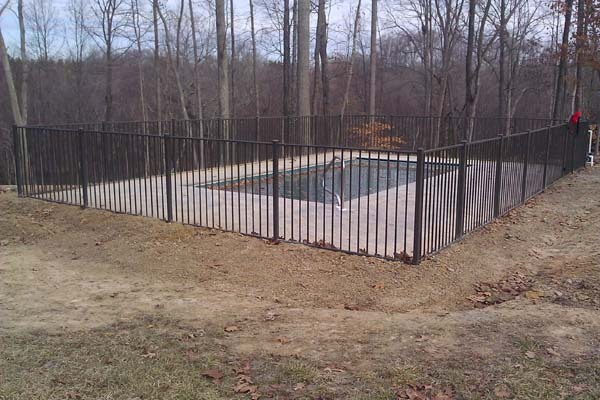 Ornamental aluminum fence has been the premier choice for pool code compliant fencing. Premier Fence Company proudly offers Alumi-Guard ornamental aluminum fencing which combines all the benefits that come with any ornamental aluminum fence, but at discounted prices. 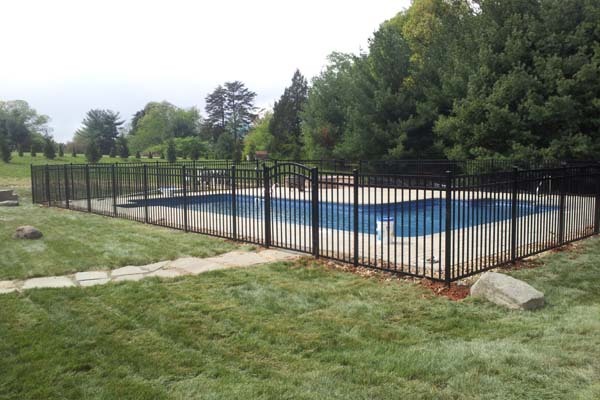 We offer the three most popular pool code compliant aluminum fence styles in gloss black with all appropriate posts, gates, and hardware to ensure a complete installation of your new ornamental aluminum fence. 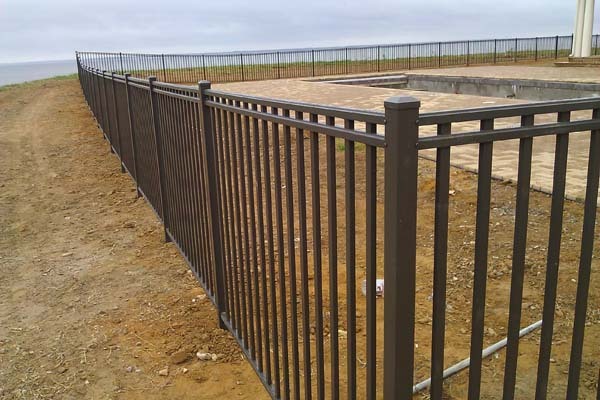 Alumi-Guard ornamental aluminum is available in a 5/8” residential or a 3/4" commercial grade. 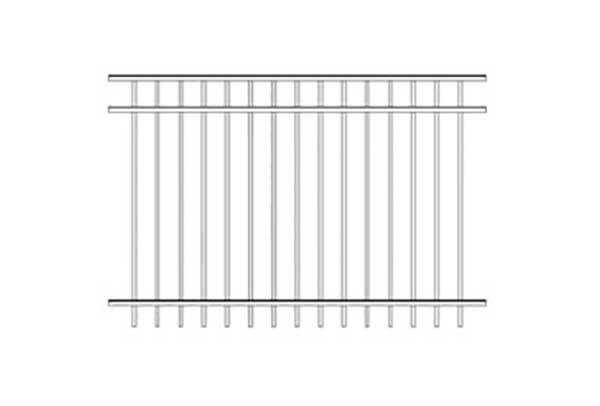 All Alumi-Guard Ornamental fences come with a manufacturer’s limited lifetime warranty and are manufactured in the USA. All Alumi-Guard aluminum fence products are DuPont platinum certified powder coated and tested to withstand the harshest conditions. 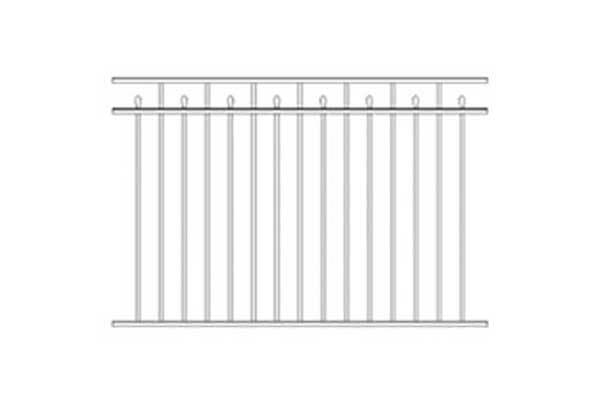 Alumi-Guard also offers 5 unique grades of fence products in multiple heights with 7 standard colors to choose from. We offer a wide variety of accessories including wall mount brackets, adjustable brackets for areas where the fence needs to travel at an angle and ball cap post tops. 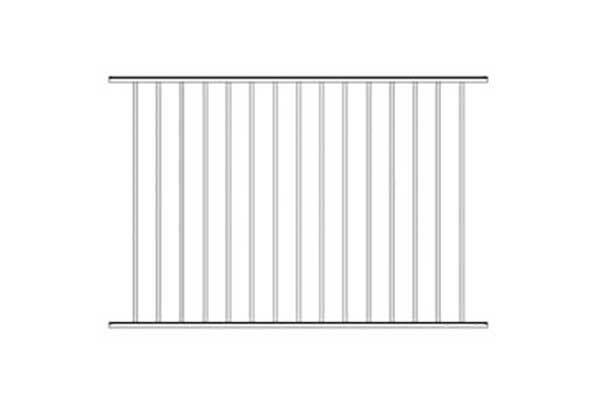 Gates are available in multiple sizes to match every style of fence with single walk, double drive, and arched gate options to suit every need including all pool code compliant or standard hardware. Premier Fence Company's competent welding shop gives us the capability of welding base plates to posts allowing installation on concrete surfaces. Feel free to call us with the footage of your project or send us a sketch including all measurements, gate locations, and other pertinent information such as exact width gates or concrete mounting applications and we will send you a detailed quote for all required materials.